Going back through my old reviews always brings a tear to my eye. I can still vividly remember watching some of the films for the first time and how much of an impression they had on me. I used to work at a gas station and had many hours to sit and watch movies, which I more than took advantage of. Sometimes I would fit up to 10 films in over one weekend. At the time, I was just getting into cult films and my knowledge of the genre (and many sub-genres) was limited, to say the least. 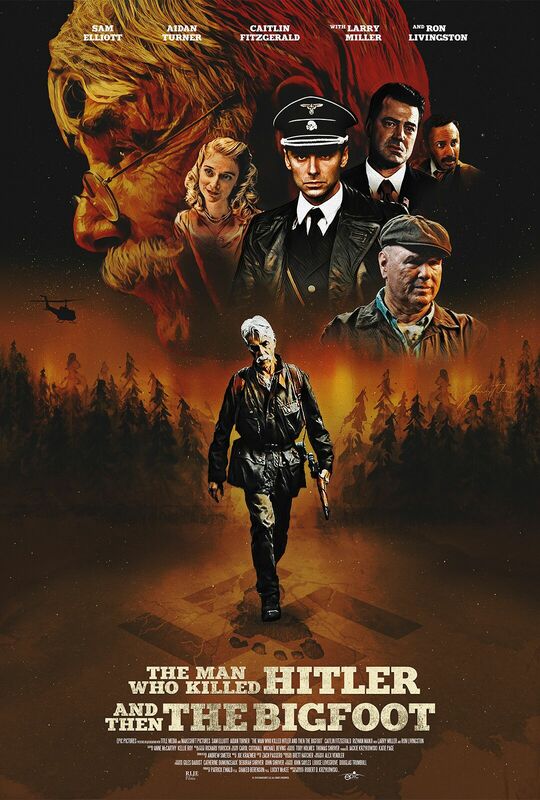 I had no idea if a film was going to be an absolute gem or unwatchable garbage, so I would just watch anything. One director whose films had a real impression on me, and always ended up being gems, was Larry Cohen. 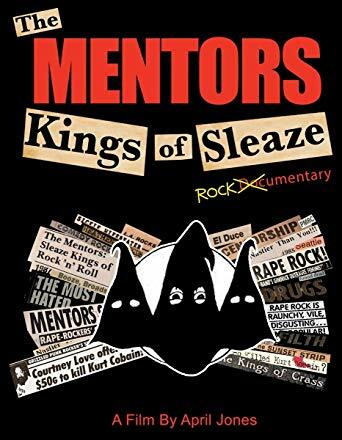 King Cohen follows the amazing career of Larry Cohen, from his time as an aspiring comedian to the present, which still finds him writing constantly. In the 1960s, Cohen was writing for television and created such shows as Coronet Blue, The Invaders and Blue Light. After being fed up with producers, Larry then decided to go out on his own and produced, wrote and directed his first film in 1972 titled Bone. Though misunderstood at the time, Bone has since become a cult classic and was one of the films I remember watching back in my gas station days. Next up was the hugely successful Black Caesar with Fred "The Hammer" Williamson, and its sequel, "Hell Up in Harlem". Cohen then went on to a successful career, probably best known for directing horror films (Q: The Winged Serpent, It's Alive, The Stuff) and later, a surprising turn as a Hollywood screenwriter (Cellular, Phone Booth). Director Steve Mitchell (who wrote his own classic cult film, Chopping Mall), gets very in depth as we learn how Cohen managed to break away from the big studios and make the films he wanted to make without compromise. These films are so great because they are the work of a pure artist who was determined, wouldn't take no for an answer and who put every penny of his admittedly small budgets on the screen. We also see many of Cohen's stars (Fred Williamson, Michael Moriarty, Eric Roberts) and fellow directors (John Landis, Martin Scorsese, Mick Garris) stress the importance of what Cohen was doing and how there will probably never be anyone like him again. La La Land Records (aka the Soundtrack Gods! 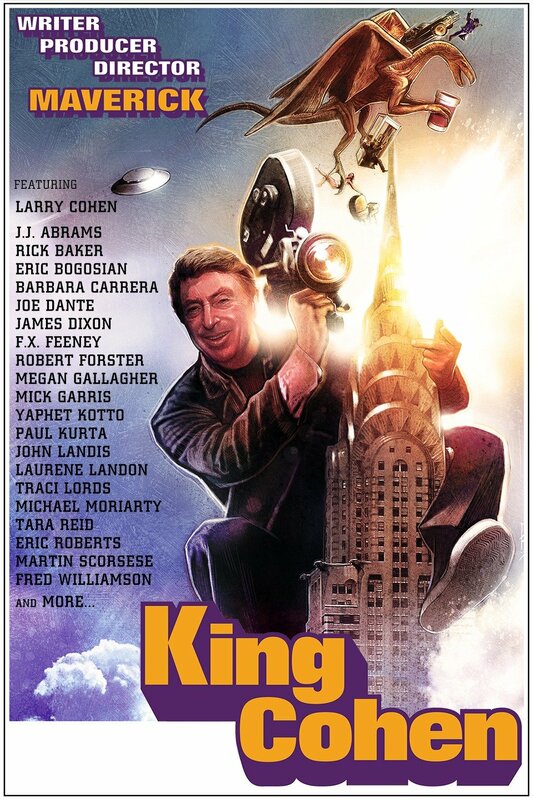 ), enter into the home video market with King Cohen, their first film release (and hopefully the first of many). 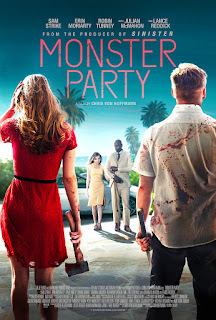 The Blu Ray also comes with a CD soundtrack of original music by Joe Kraemer, the composer of such films as Jack Reacher and Mission Impossible: Rogue Nation. Coming in towards the end of the initial Giallo craze of the late 60's to mid 70's, is Flavio Mogherini's La ragazza dal pigiama giallo (aka The Pyjama Girl Case). Featuring many of the tropes of the classic Giallo films, the only real visible difference with this film is the setting. The Pyjama Girl Case was an Italian-Spanish co-production taking place in Australia, something not common with these films. Many of the classic Gialli were set in their native Italy or tried to masquerade themselves as American films, frequently casting previously popular American actors in main roles. 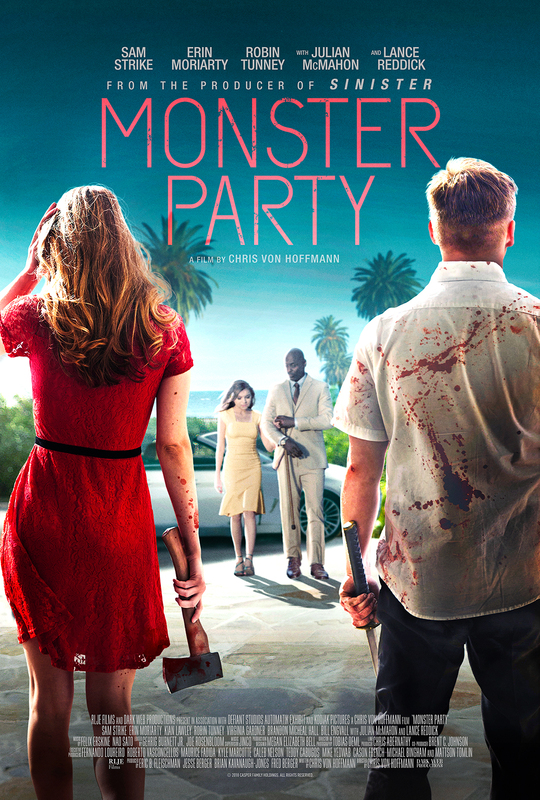 This one mashes all of that together, with Australian, Italian and American actors to make a truly original film. 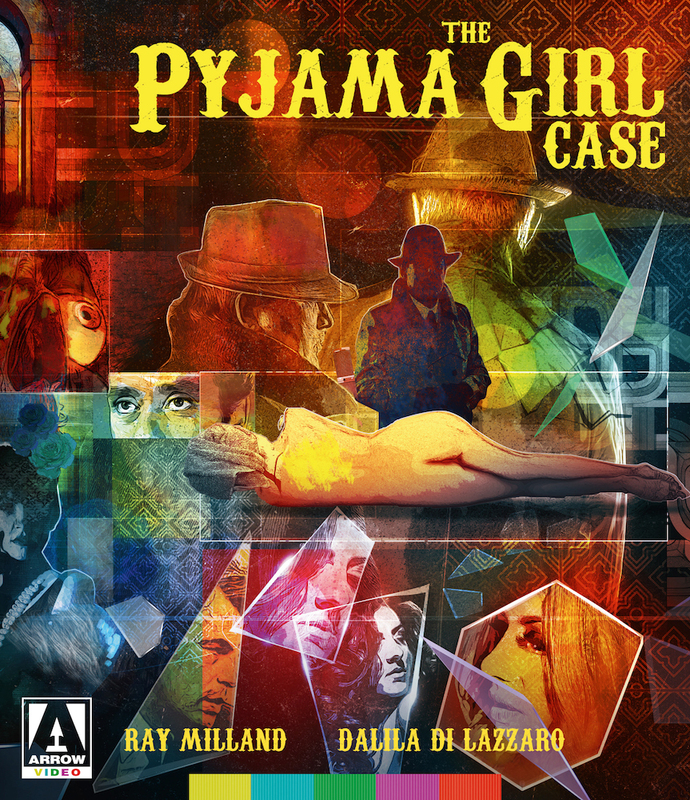 The Pyjama Girl Case stars Ray Milland as retired police detective Thompson, who is helping two younger inspectors solve the murder of a woman found dead on a beach. Her body was badly burned and she was found wearing yellow pyjamas. 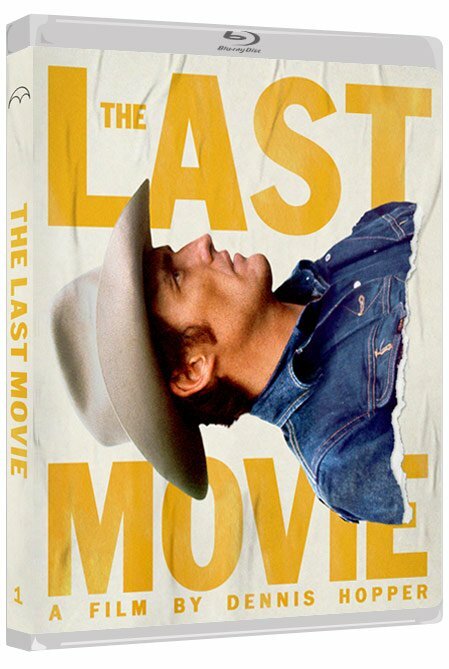 All clues point to a man named Quint living nearby and even though he is charged for the crimes, Thompson believes he is innocent. The film also follows Glenda (Dalila Di Lazzaro), a young woman stuck in a love triangle with an older man (Mel Ferrer), a young Italian (Michele Placido) and an American (Howard Ross). Soon the stories will intersect and come to a thrilling conclusion. - Flavio Mogherini started out as a Production Designer and Art Director before becoming a screenwriter and finally a director, with his first film Anche se volessi lavorare, che faccio? in 1972. -Dalila Di Lazzaro turned down the role of Domino in the unofficial 007 film Never Say Never Again (1983). -Milland was no stranger to horror, starring in Hitchcock's Dial M for Murder (1954), Roger Corman's Poe adaption Premature Burial (1962) and the 1972 cult classic Frogs. Eye in the Labyrinth is Italian director Mario Caiano's only foray into the wild world of Gialli. I was familiar with Caiano from the film Napoli spara! (Weapons of Death) and had seen his name listed as director for numerous other Italian Cult films. What really attracted me to this film though was famed Italian character actor Adolfo Celi, best known as the Bond villain in 1965's Thunderball (and in the 1967 Bond ripoff Ok Connery). Though frequently cast as a villain (including in Bava's brilliant Diabolik), one of my favorite roles he did was as the adulterer friend of Vittorio Gassman in Luciano Salce's 1965 spy spoof Slalom. Eye in the Labyrinth stars Rosemary Dexter as Julia, a woman trying to find her boyfriend Luca (Horst Frank), who has disappeared. After being led into an abandoned building and almost killed by a mysterious man, she is rescued by Frank (Celi). Julia is soon led to a commune owned by Gerda (Alida Valli), where she believes Luca may have been staying. Among the other residents are a peeping tom servant (whose artwork plays an important part in the fim), a transexual, Gerda's younger lover and more. Julia soon learns that the commune is a cover for a drug smuggling operation and that Luca was somehow involved. 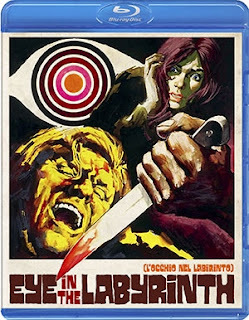 With a varied cast of beautiful weirdos, a story that has more twists than the Amalfi Coast and some skillfully crafted cinematography, Eye in the Labyrinth is a classic, yet original take on the giallo genre. Dexter does a suitable job as the heroine stuck in a walking nightmare that she can't seem to escape from. Celi is great as the enigmatic, gangster-like Frank and the equally mysterious Gerda - played by Alida Valli (best known from Carol Reed's 1949 classic The Third Man) keeps you guessing her secrets until the end. Though the momentum seems to slow down towards the end, the unexpected climax more than makes up for the film's minor flaws. Not as by the book as many of the better known Martino or Argento gialli, Eye in the Labyrinth is well worth getting lost in. Check out the beautiful transfer on the Code Red release, as it brings the film to life like never before. 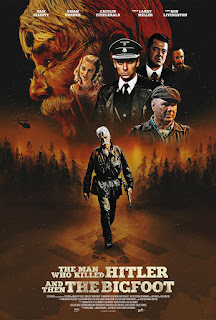 Eye in the Labyrinth was released on DVD and Blu Ray by Code Red DVD. You can purchase directly from Code Red HERE , from Screen Archives HERE or from DiabolikDVD HERE.